Bulldogs were originally bred to fight bulls. That's right, real live bulls. Their intimidating appearance and reluctance to ever, ever compromise suits this original mission. 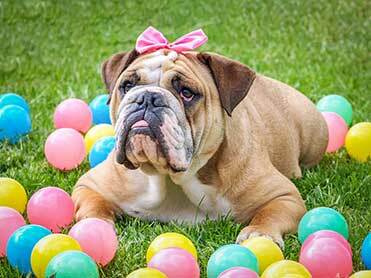 Many bulldog owners want their bully's name to reinforce the tough guy or tough gal image. Headbutt - only for the most extreme of owners. 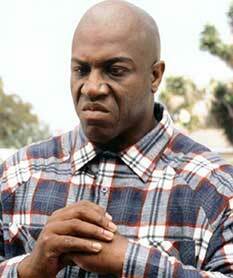 Deebo - great name sent in for those who love the movie "Friday". Another user sent in Mongo, the guy who punched out the horse in "Blazing Saddles". Bruno - good name with mafia connections. Ethel - great name to fit any female bulldog. Agnes - awesome female bulldog name. Bertha - ahhh yes. Big Bertha. Fran - can't fight the Fran. Butch - a name held by male English Bulldogs since many generations past. The name for any bulldog in every cartoon since Bugs Bunny. Rambo - no explanation necessary. Rocko - don't mess with Rocko! Boss - you may buy a bulldog thinking that you will be the boss, but trust me: it will not turn out that way. Hugo - submitted, with added comment "because he is the BOSS". We get it. 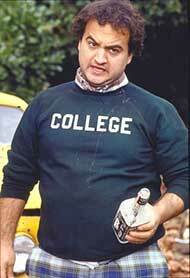 Bluto - both Popeye and Animal House; you could use the full name "Blutarsky". Big (Insert Name) - you can take any of the plain folk names and add "Big": Big Gus, Big Al, Big Fred.